Every well-dressed woman has certain “go-to” pieces in her wardrobe–a black dress, patent leather pumps, a cardigan sweater. . .These are the articles frequently pulled out of the closet. They work in a variety of situations and always improve the ensemble. When it comes to a jewelry wardrobe, what are those classic, “go-to” pieces? 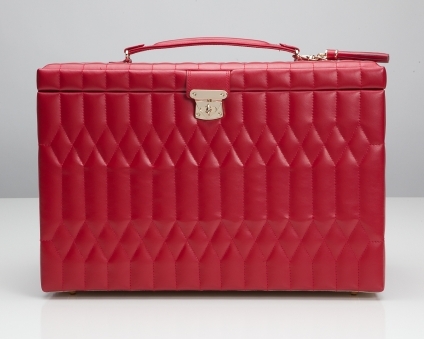 What should every woman have in her jewelry box? Based on the opinions of many, here are the top five. They make wonderful holiday gifts because you know they’ll be worn over and over again. DIAMOND STUD EARRINGS are not only classic, but also a great investment. Since the setting for the earrings is a minimal part of the cost, and diamonds rarely go anywhere but up in value, this “must” is the perfect gift. At Dearborn Jewelers, we have a trade-up program for customers who’ve purchased their diamond stud earrings from us. Fair market value for the earrings can be used towards the purchase of a larger pair of studs. GOLD HOOP EARRINGS, in white and/or yellow gold, are an important mainstay in a woman’s jewelry wardrobe. They can be dressy or casual, and they coordinate with other pieces of jewelry. A DIAMOND PENDANT NECKLACE just sparkles at the base of her neck. It’s another great investment, since, again, Dearborn Jewelers has a trade-up program. And a diamond pendant and earrings together? Stunning. A WRIST WATCH rounds out the top five. At Dearborn Jewelers we carry the Tissot brand, which is a Swiss-made watch. We have a wide selection in stock. If you are looking for that perfect gift for the woman in your life, check to see if she has these classics. If not, stop by Dearborn Jewelers of Plymouth. 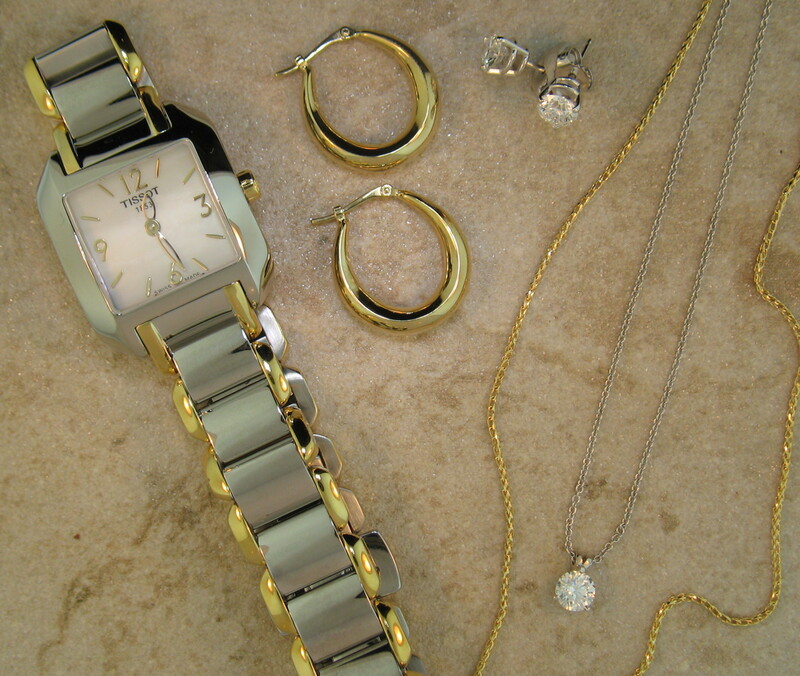 We can help you round out her jewelry wardrobe. If she has them all, maybe what she needs is a jewelry box. We have those, too!